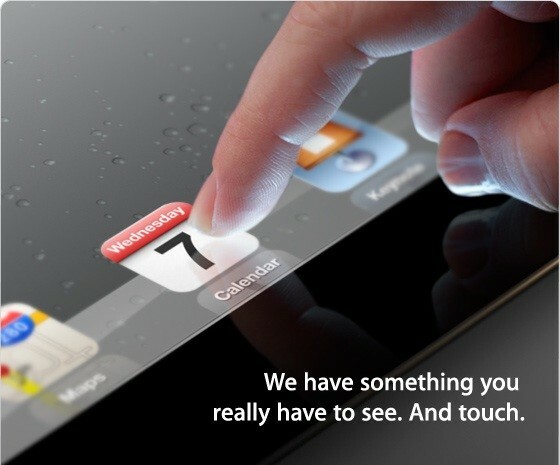 If all the rumors haven't been enough for you, Apple is ready to publicly talk about the third generation iPad, presumably called iPad 3, this Wednesday. The event will be held at the Yerba Buena Center for the Arts in San Francisco and will get underway at 10am PDT/1pm EDT. As of Monday, there is still some debate over the name of the new iPad, whether it will be called "iPad 3" or "iPad HD." There are also rumors circulating that there will be a new Apple designed case that falls somewhere between the original black iPad case and the new iPad 2 Smart Cover cases, that protects the entire iPad. Perhaps the one rumor that I was glad to hear squashed was the one that suggested that each new iPad 3 model would be $79 more expensive to cover the costs of the new display.